Subscribe to LoLBoost for free guides, coaching, RP, Duoq and Diamond boosts! We have set up a Subscription Option for all our clients! When you subscribe you instantly receive a free guide (choose between 4 random guides) and you will be entered into our weeklySUBSCRIBERS ONLY Give Away! 1. 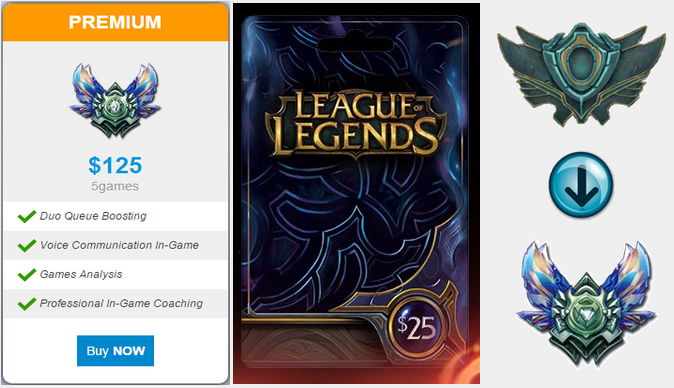 Five Free Duoq Premium Games for next season - Any Elo! 2. One RP card worth 3500RP! 3. One Free boost from Unranked - Diamond V for next season! There are a limited amount of subscribers allowed at any time (max 250), and since we have just started it, we currently only have 15 subscribers! This means if you subscribe you will have 1/15 chances of winning all our prizes every single week, and when it fills up you will never compete with more than 250 people! In addition, every 3 months for as long as you are subscribed you will get one free coaching lesson in addition to always being entered into the weekly Subscriber Only Competitions! To subscribe, go to Here. You will be automatically entered into all the Subscriber Giveaways, as well as receive your free guide on sign up and a free coaching lesson automatically to your panel every 3 months!